Wayside Inspection Device’s (WID) truck bogie optical geometry inspection and hunting detection system (TBOGI-HD) is a wayside solution that measures the geometry and stability of each wheelset and bogie. TBOGI-HD is used by freight, heavy haul, and passenger railways around the world. 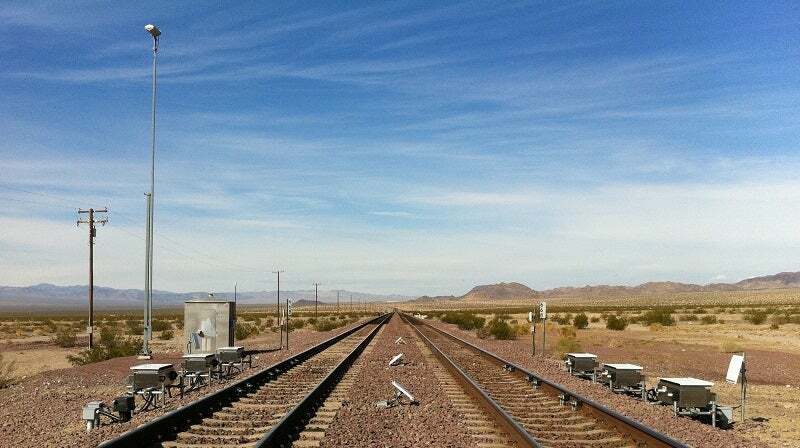 The system has a solid history of being reliable and accurate, and of providing significant cost savings for both rolling stock and rail infrastructure. The TBOGI-HD system is installed next to the rails, outside the clearance envelope. The system uses laser technology to measure the tracking behaviour (geometry) and stability (hunting) of wheelsets and bogies. When the wheel-rail interface is compromised, TBOGI-HD data shows the degeneration of the defect from inception through to critical status. Accurate thresholds can be set to prevent severe wear to the rolling stock and rail infrastructure, and to prevent derailment risks. The TBOGI system offers a simple, cost-effective solution to the fundamental issue of optimising the wheel-rail interface.